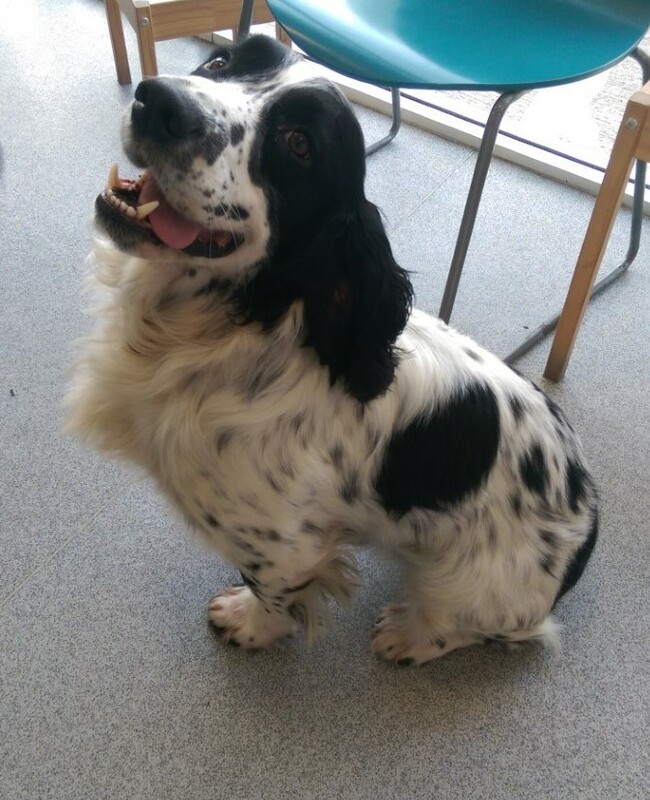 This is Finn, a 5-year-old working springer spaniel, who came into the Vet Bristol holding his front right leg up looking a bit sorry for himself. 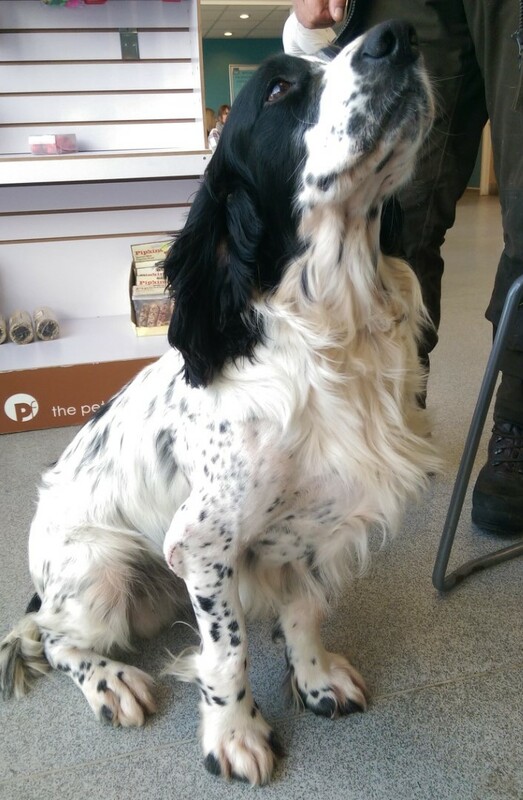 Finn’s owners thought that he had dislocated his shoulder after having an accident whilst working where he fell off a quadbike. After having a consultation with our vet, Charlotte saw that Finn had fractured his distal right humerus (upper arm bone). Finn was booked in for x-rays to look at the fracture. After this, Charlotte contacted RATA, our orthopaedic specialists, who confirmed her findings and in the meantime Finn was sent home on strong pain relief and strict rest. A few days later the orthopaedic team operated on Finn’s elbow where the bone was plated and screwed back in place. They also took x-rays post-surgery to make sure the plate and screws were in the correct places. Finn was sent home on the instructions of two 5 minute walks daily and strict cage rest for the next 6 weeks. Two week’s post-surgery and the owners have told us that Finn is coping very well with the strict post op instructions and they can’t believe how well he’s doing already! Finn and his owners popped in to see us all for his second post op check where Finn greeted everybody with his big smile and his wagging tail. No-one would’ve guessed what this cheerful chap has been through!